"The car will have a rotary engine up front driving a generator and two electric motors on the rear axle"
It’s a rare treat to be allowed inside a working design studio, but being invited into a design studio to work with car designers is probably a once-in-a-lifetime treat for most of us. 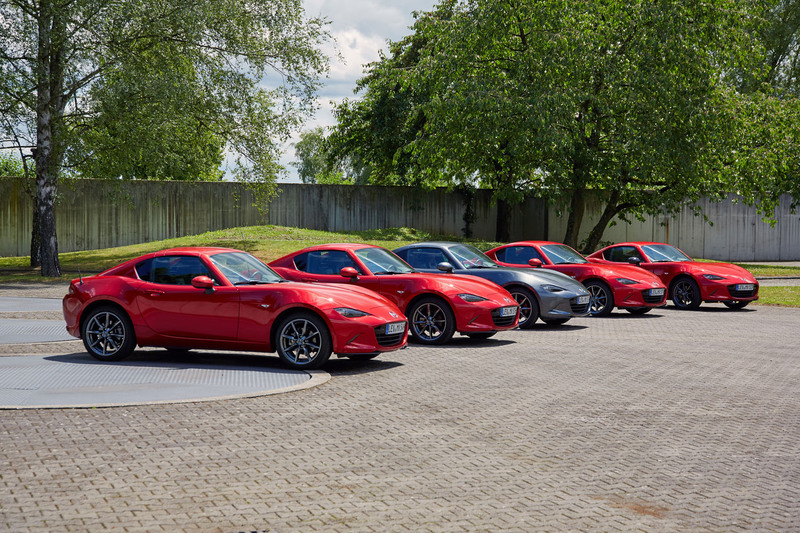 And Mazda decided to do just that at its newly refurbished studios on the outskirts of greater Frankfurt. The facility is one of four Mazda studios worldwide. The others are in Shanghai, Los Angeles and Hiroshima. The German studio is also tied in with an engineering and development facility that is charged with tweaking future Mazda models for the tastes of European car buyers. This studio, which was constructed in the late 1980s, has just been given a major overhaul. Hidden at the rear of the sprawling building is the design studio and the viewing area, where full-sized styling models can be assessed in real-world lighting conditions. Kevin Rice, a Brit, is the design director here. He’s on his second spell at Mazda. He graduated from Coventry University and the Royal College of Art and was a veteran of Italdesign, Opel and Ford before he joined Mazda in 1995. Five years later, he began a 13-year spell at BMW, where one of his first jobs was to see the BMW 1 Series into reality. He rejoined Mazda in 2013. 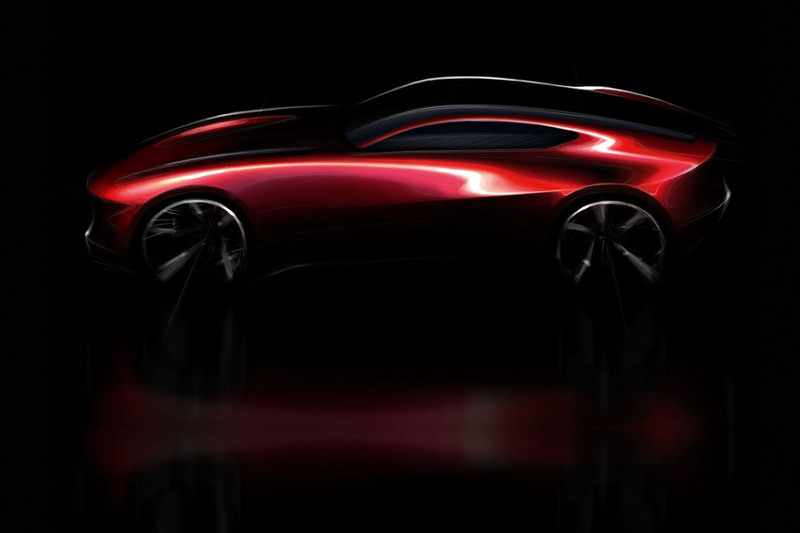 The new Mazda design studios are a lesson in crisp airiness. They are built over three floors, all of which look out through glazed walls onto the viewing area. There’s a fabulous sense of calm in here and the workspaces are immaculate and uncluttered. It’s not quite the same in the clay modelling studio. Rice assures us that modelling a full-sized car requires significant fitness and flexibility, the modellers pushing themselves physically across a full-sized model when wielding an unusual array of tools. Even a small demonstration on an abstract model by one of the modellers results in a huge amount of clay shavings littering the floor. It is clear that Rice has huge admiration for the modellers. It’s the one part of the whole industrial process that relies purely on the hands-on skill of craftsmen. It’s interesting to note Mazda’s pride in its clay modelling. 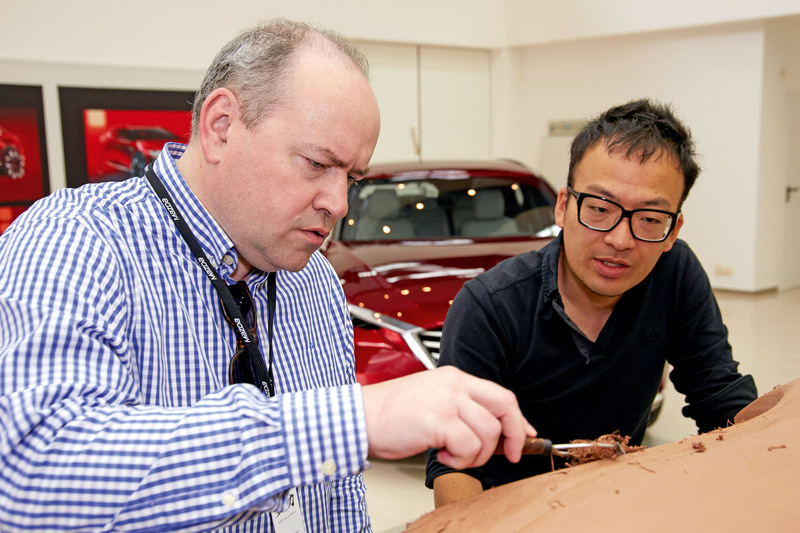 It says that a typical size difference between a clay model and a ‘mass-market car’ is between 1mm and 5mm, but Mazda says its production cars are accurate to within 0.3mm to 0.1mm of the definitive clay model. But the main reason we’ve been let inside the new design studio is to allow Rice and Mazda to demonstrate that the firm’s ‘Kodo: Soul of Motion’ design philosophy is not just marketing hype, but also so solidly grounded that it could be applied to any type of vehicle. 1. Breathe life (soul) into your car. Make it more than just twisted metal. 2. Movement through reflection or pure motion. With that, I’m teamed up with senior Mazda designer Kota Atagawa. My self-selected brief is to have another go at reinventing the iconic RX-series. Sure, Mazda has already had a crack at this with the RX-Vision, but I had another idea. The rebirth of the rotary engine is proving very tricky in an age of stringent pollution and CO2 regulations, so why not play to its strengths by using the powerplant as a range-extender in an electrically driven concept car? Mad? In fact, the company has already built an electric Mazda 2 concept powered by a tiny rotary range-extender. So ‘my’ car will have the rotary engine up front driving a generator. There’ll be two electric motors on the rear axle and tanks for natural gas – powering the rotary unit – behind and beneath the passengers. The result will be an electric supercar with likely CO2 emissions of below 60g/km – very similar to a battery-powered car charged via mains electricity. So the final design needs to reflect the fact that our imaginary RX-9 has two power sources, one at the front and one at the rear. Inspiration for the exterior styling comes from those multi-coloured computational fluid dynamics (CFD) renderings that show how air flows over the surface of a car or plane or jet engine. I pull a few images up on my phone to show to Atagawa, who begins to sketch with a black biro. I’m also fascinated by those big, soft surfaces that characterised cars from the beginning of the 1990s – the sort that generate amazing reflections in the right light. I also sketch a bit myself – it’s 27 years since I left art college – and manage a half-reasonable image of a package showing how the drivetrain could be accommodated. Time is tight, so we spend about 90 minutes sketching before we have to pick one theme for Atagawa to render. His biro sketches show that he is thinking along the lines of a big, flowing surface running from ahead of the windscreen and down the sides of the car. One of the sketches stands out to me and that is the one I ask him to use as the basis of our final design. Atagawa then spends more than three hours on the drawing, putting it together on the computer, sketching with a stylus on a graphic tablet. In order for the design to adhere to Rice’s four-point recipe, it must demonstrate sufficient ‘Kodo’. I can only emphasise to Atagawa that the surfacing must look like it has been polished by wind or water. Five hours have elapsed since we started work on our brief and it is time for the final ‘crit’. Our rendering is pinned on a viewing wall and Rice calls me up so I can explain what I commissioned Atagawa to do, and why. Thankfully, Rice is convinced. Kota’s amazing ability to render super-fluid surfaces has paid dividends and means that Autocar’s ‘RX-9’ is judged to have achieved ‘Soul of Motion’. I’m very happy with the end result and, yes, prefer it to Mazda’s own RX-Vision, even though it remains a thumbnail proposal. Your powertrain is interesting, too. will it be more efficient than the rx-8?